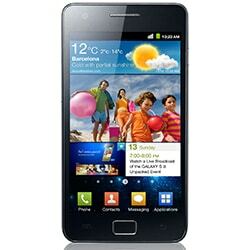 Samsung has begun shipping the first units of its Galaxy S II smartphone but, outside Korea, it looks as though only the non-NFC version will be available — for now. Samsung has begun shipping its much anticipated Galaxy S II smartphone but units sold outside Korea look set to be available only in a non-NFC version until later in 2011. The new device, the successor to the phone maker’s best selling Galaxy smartphone, was announced at the Mobile World Congress in February. Samsung at the time said that the phone would come in two versions, one with NFC and one without. Korean mobile network operators began receiving their first NFC units last month but it now seems clear that the rest of the world will have to wait. Samsung Mobile UK has confirmed to NFC World that “an NFC version of the Galaxy S II will be launched later this year,” adding that recent reports of a June launch are not correct. The timing of the UK introduction will be made in order “to support the roll out of our network partners’ NFC services,” the company added. Both O2 UK and Orange/Barclaycard are due to launch commercial NFC services during the course of 2011. Samsung has received pre-orders for more than three million units of the Galaxy S II, although no information on what percentage of those are for the NFC version has been revealed to date. Keep in mind that the NFC version will be thicker. Clearly the S II launch is a joke, nobody knows officialy how much version of this phone exists 9100, 9101, 9103… more ? And what are the spec of each variants. This means, if you want/need NFC S II is not an option because you can not be sure the model you will get will have this feature. This is very odd communication from Samsung. presumably the NFC version consumes a tonne more battery life? I do not think it consumes much more. Remember your special corporate indentity card, it doesn’t need any “battery” to work when you go from one gate to another. It is a passive coil as far as I know. Of course I am not an expert of the topic,maybe because of configuration it needs a bit more. But it is very sad that NFC is not implemented in every device. Then why is it much more usefull for me then the galaxy S?